Keep a magnet in your paperclip or pin box to keep the from spilling all over the place. This is a legitimate life hack! But be careful not to put your paperclip or pin box on your TV or hard drive. That can cause a big problem! Not an issue for modern (flat panel) TVs or SSDs. This is also a MODERN lifehack that I didn't know about! Two life hacks in one! If you have leftover food from dinner, you can eat it the next day for a quick, easy breakfast. Thanks you waygook.org user Chinguetti for pointing this one out! If you need to attract fruit flies, you can leave an old banana peel in a dish, or directly on your counter. Wait a day or two (even quicker in warm weather) and soon you'll have all the fruit flies you need. Someone is in a pissy mood. Life Hack: If you're pissy down 2 bottles of bokbunja and watch some kittens. lmaoooooooooo ok - you're sticking up for an adult male that posted a LIfeHaCK for attracting fruit flies. Sticking up for? What are you 11? If you need to clean between the keys on a keyboard and a cotton swab won't fit all the way down, use a thin piece of cardboard dipped in rubbing alcohol. It'll fit between the keys and be able to remove any stuck on grime. The rubbing alcohol will help dissolve dust and dirt, and it'll also partially disinfect any germs that might be there. If you don't have the ingredients to make pizza dough, but you're really craving homecooked pizza fresh from the oven, try using a tortilla instead of pizza crust. It will be thinner, but still able to hold some pizza toppings. If you are using a mechanical keyboard, you can literally pull the keys out, clean under them, and clean the keys, and then put them back in once your done too. (I done this myself on the weekend). If your phone battery doesn’t last the day, prevent it from accessing your work computer (and vis versa) by putting a booster battery between them. This also ensures your booster is charged at the end of the work day. 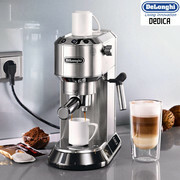 Save yourself some money and buy a deLonghi- coffee is a feast now, I stopped drinking coffee from the (good) coffeemachine at school. This was the cheapest I could find for you, mine was 160 euros. I use a 3000 won cone filter holder from Daiso and heat water in the same pot I use to cook everything else with, but thanks for coming out. It's life changing, mate. I used to drink just any coffee as long as it was strong but this is just such a feast each morning. I even stopped my Starbucks routine. My own coffee is just 1000x better tasting. But w/e. It's only a few 100s well worth the try. I wasted 200 on purchasing other brands and just wished I had bought this one straight away. And if you buy 1 coffee a day at a 7-11 @4000 won you would have this machine recouped after 2 months.Faster if you happen to have a date who loves to get a drink at Coffee&Beans. It saves you money because you stop drinking sour drab anywhere else. It’s more about the beans than the machines. Putting McNulty into that rig would not improve it! And if you buy 1 coffee a day at a 7-11 @4000 won you would have this machine recouped after 2 months.Faster if you happen to have a date who loves to get a drink at Coffee&Beans. this is kind of irrelevant... but who is buying 7-11 coffee that costs 4,000 won? does 7-11 even sell coffee that is that expensive? Good luck with that strategy when you get a SO (thread unique wording). Please record the footage when you say 'let's just stay in this weekend and have a DeLonghui'. You'll be in for one hell of a roasting. I feel like the slogan printed on the window of one of my local cafes is applicable here: "Roasting Robos, where roasting lovers is good coffee.... [and then something about dripping]."